On a day delegate package the island, clubhouse and all facilities will be exclusively yours for the day. Queen's Eyot is a secluded, private and conveniently located venue close to London with easy transport links and a special and unique character. Since the island can only be reached by boat, it is ideal for board meetings and discreet conferences with no distractions. 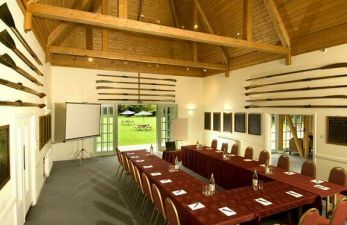 The clubhouse can accommodate up to 30 delegates for your meeting. 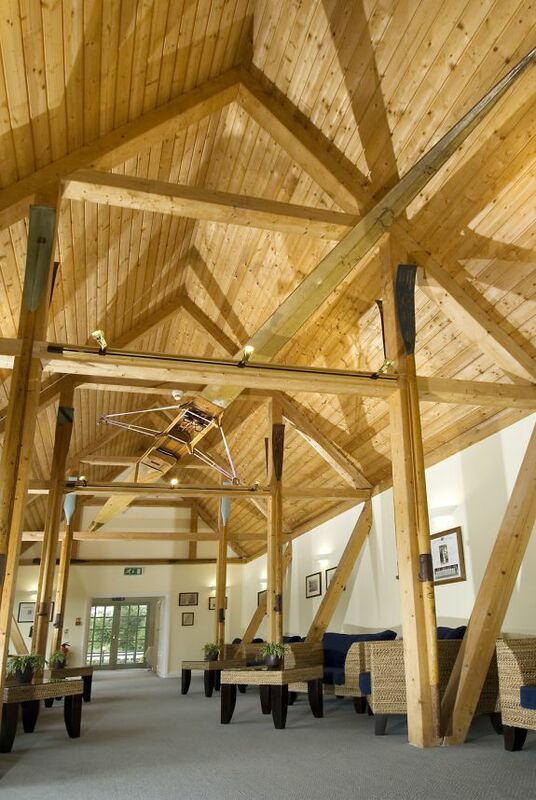 Our four acres of grounds are ideal for various types of Team Building and fun activities suitable for conference intervals or Team Building Away Days. We can organise anything from dragon boat racing on the river to laser clay shooting and crazy golf on the island. The Island can accomodate upto 150 delegates for Team Building Activities. There is excellent overnight accommodation at nearby luxury and standard hotels. Giant garden games can be provided at no additional cost. Please contact our event team for a quotation. 50 delegates or more will require a marquee. POA. Queen's Eyot is perfectly located for easy access from London and London's airports, the M4 and M25 motorways and mainline railway stations. Parking and the short ferry crossing to the island are included in the rates. Arrival by boat from further afield on the river can be arranged. Please note there are no photocopying services or accommodation on the island.